The world is suffering from a loneliness epidemic and studies suggest books might help. Whether you swear by self-help books, find solace in your book club, or truly believe reading can be a form of medicine, you’re far from alone in feeling that books can improve your life in a variety of ways. If you’ve ever experienced the gut-wrenching feeling of turning the last page on a book or series you were deeply invested in, you know that the worlds created by authors can become very real escapes, and characters can feel like friends. A friend recently told me that books are a form of self-care that has helped her through medical school. 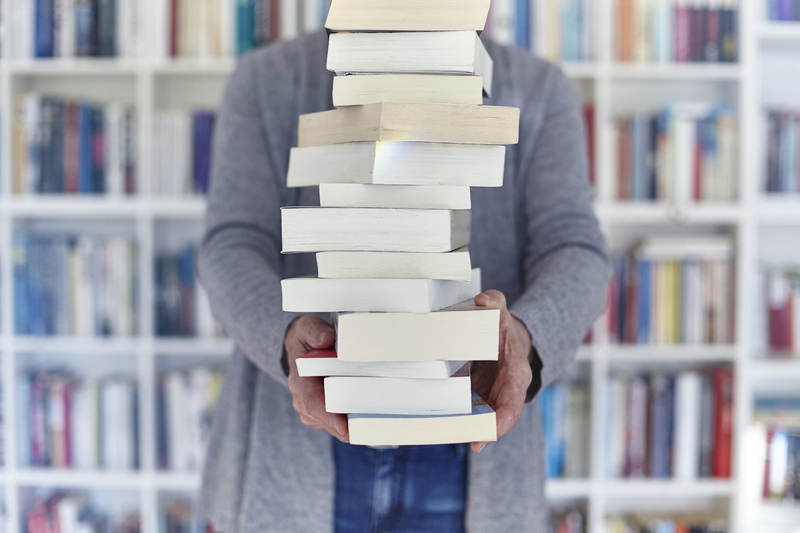 When she walks into her local bookstore she’s greeted with a pile of what the salesperson calls “escapist reads.” While entering the medical profession can be a particularly stressful experience, using books to promote mental well-being is far from a new or unusual practice. Bibliotherapy–defined by Merriam-Webster as “the use of reading materials for help in solving personal problems or for psychiatric therapy”–goes beyond mere escapism and comes in many forms. Some research has been done on the effectiveness of books in improving your mental health. After one analysis of ten studies of bibliotherapy, researchers from the University of Turin stated, “Bibliotherapy appears to be effective in the reduction of depressive symptoms in the long term, and could be an affordable treatment that reduces the need for medications.” Additionally, reading writers of classic literature has been shown to create more electrical activity in the brain. Other research indicates that reading can reduce stress, working faster and more effectively than listening to music or walking. Similarly, The New Yorker discovered that soldiers coming home after the First World War were sometimes prescribed reading, and librarians at the time were trained in this type of bibliotherapy. More recently, as part of a project called “Ancient Greeks/Modern Lives,” classics professor Daniel Levine brought veterans together with their families and others to discuss ancient Greek literature. Speaking about the project, he said, “Ancient Greek literature is a useful tool to help understand the struggles of modern war veterans, because ancient war veterans, who know from firsthand personal experiences what it was like to fight and be away from home for long periods of time, composed most of it.” Books might make you feel less alone with your emotions or help others understand experiences that you yourself can’t put into words. Amidst the world’s current loneliness epidemic, some people are turning to books for healing–and for more than just the friends found on the page. Sharon Dunscombe, a bibliotherapist who created Tales for Tea, brings people together to read literature aloud. And this isn’t the only way that books can bring people together. Have you ever told someone about your favorite book, only to find that they love it just as much? This shared appreciation for a certain story can bring a powerful sense of connection and excitement. Books can, in so many ways, make us feel less alone. As for solitary reading, with study after study showing the harms of our always-on, technology driven lives, there’s something to be said for detaching from social media and constant connection by getting lost in a book. And you might just improve your social skills while you’re at it. A 2013 study suggested that reading fiction can improve empathy. In a world that feels increasingly lonely and divided, reading more is one way to bring people together while also improving individual well-being.